We all know very well that during the last week, the Chinese smartphone manufacturers have been the protagonists of the news in smart telephony. But, now according to the latest reports, the well-known Chinese smartphone manufacturer, Huawei is developing its own Android alternative OS. The well-known Chinese smartphone manufacturer, of course, I am talking about none other than the Huawei who said it is developing a replacement for Android, which may be another alternative for a third mobile operating system on the market. The information already circulated in the form of rumor and may be linked to the company’s problems with the US government. As the US Department of Justice was investigating Huawei for a possible violation of sanctions against Iran. The Government of the United States is jealous of the Chinese industry and has strongly pressed several brands in this and other sectors. The well-known Chinese smartphone manufacturer, of course, Huawei is the second largest manufacturer of mobile phones in the world, as losing its first position due to the South Korean giant Samsung, but, managed to beat the tech giant Apple, who ranks third in the list which is released by IDC, in August of this year, of course, 2019. The tech giant Apple’s iOS and the tech giant Google’s Android meets 99.9% of the current smartphone market. As the tech giant Google’s Android is the option for any smartphone manufacturer other than the tech giant Apple’s iOS and is currently the choice of the well-known Chinese smartphone manufacturer Huawei and its main competitors, such as Samsung, Oppo, and Xiaomi. 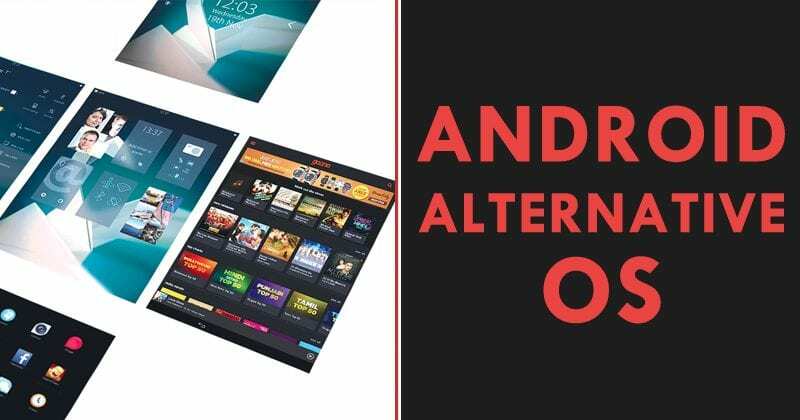 If it were left without the option to use the Android operating system, which is still a remote option, could be an operating system of its own. Something that the well-known South Korean giant Samsung already tested with its very own flop operating system Tizen OS later which was launched for TVs and wearables. As the well-known Chinese smartphone manufacturer, of course, Huawei already manufactures its own handsets along with its all internal components, as is the case of the Kirin processors which are present in all its models. However, now according to the latest reports, the well-known Chinese smartphone manufacturer, of course, Huawei will soon put its own mobile operating system which is still unnamed, but, it is expected that it should be deeply based on Android. However, the most important thing that Huawei should keep in mind that having the third platform did not work for some companies like the tech giant Microsoft and the well-known Canadian smartphone manufacturer BlackBerry. So, what do you think about this? Simply share all your views and thoughts in the comment section below.